My youngest son, Rob, loves peanut butter pie. I made one the other day and got the highest compliment from him. He said,"This might be better than Gibson's!" Gibson's is an old barbecue restaurant in Huntsville that was started by a different branch of the famous Big Bob Gibson family from Decatur. Rob loves their peanut butter pie. Many years ago, we used to enjoy going to The Spot in Gulf Shores. One of the highlights of dinner at The Spot was the peanut butter pie. On one of our many visits to the beach, I found a cookbook with recipes from the local restaurants in Gulf Shores and Orange Beach. Lo and behold, The Spot's pie was in the book and of course, I had to have that book. I always thought The Spot's pie was better than Gibson's pie, because the filling was lighter and fluffier. There was, however, one thing the Gibson's pie had that The Spot's pie did not...a layer of intense peanut butter cushioning between the crust and the filling. 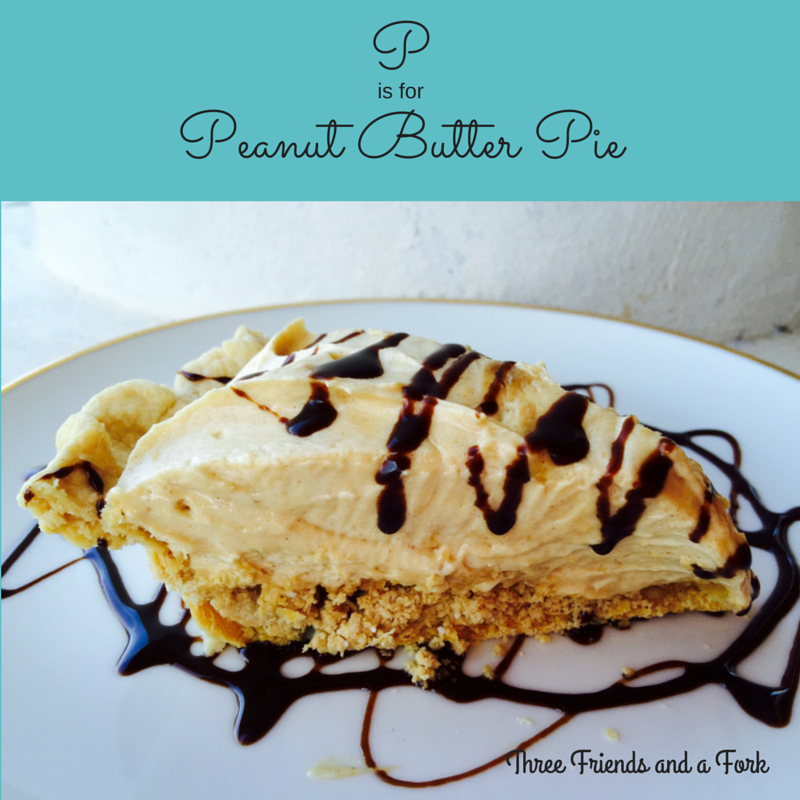 I had an idea if I could marry the two recipes I might have a keeper, so I experimented and came up with my own version of peanut butter pie incorporating the best of both recipes. Rob's reaction confirmed I had hit a home run. I did not add any nuts or chocolate chips because Rob is a peanut butter pie purist, but the pie is good with a sprinkling of chopped peanuts and mini chocolate chips. So, here's to peanut butter pie and here's the recipe. Tell me what you think. Cheers! You can use a homemade crust or one of those you roll out and bake, but don't use one of the preformed ones. Bake according to package or recipe directions and allow to cool while you work on the filling. Beat cream cheese with confectioners' sugar until mixture is light and fluffy. Beat in milk, peanut butter and vanilla. In a chilled bowl, beat cream until it holds stiff peaks. Stir 1/3 of cream into peanut butter mixture and then fold in the remaining cream gently, but thoroughly. Pour filling into pie crust. Sprinkle with 3 T. chopped unsalted nuts and 3 T. mini chocolate chips (optional). Chill covered for 4 hours or overnight. Serve with chocolate sauce, if you like. Get Printable recipe for Better Than Gibson's Peanut Butter Pie HERE. Peanut butter pie is probably my all-time favoritest dessert! I've been experimenting with various vegan recipes, and next time will try it with mashed bananas instead of tofu in the filling. Like chocolate peanut butter fudge, I could eat it all at one sitting.